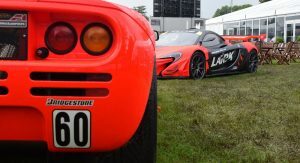 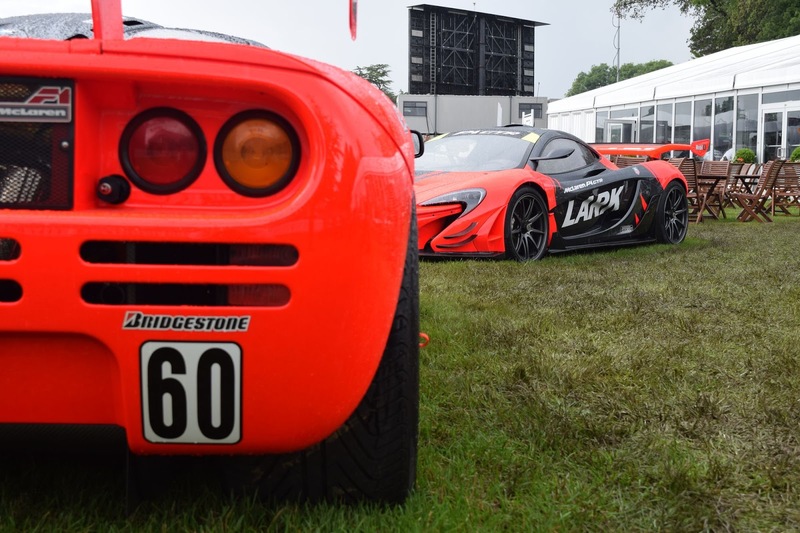 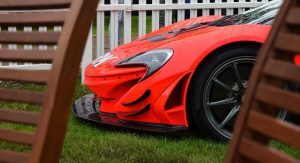 Given that the Goodwood Festival of Speed is the biggest motoring gathering in the UK, it’s fitting that much of the event this year is being dominated by local manufacturer, McLaren. 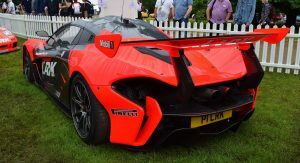 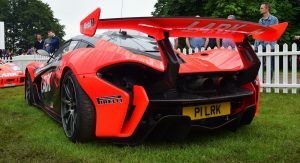 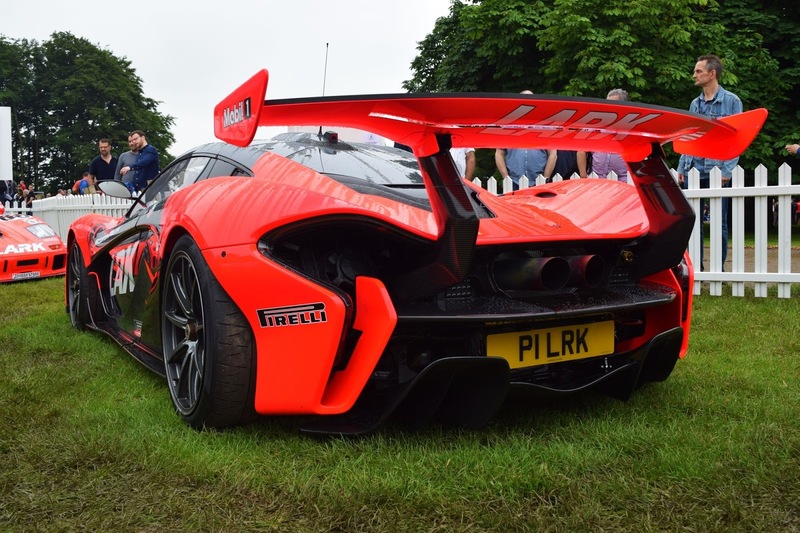 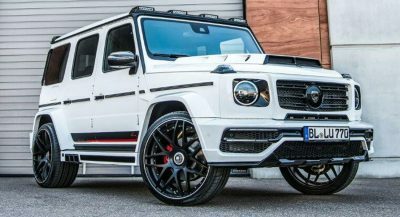 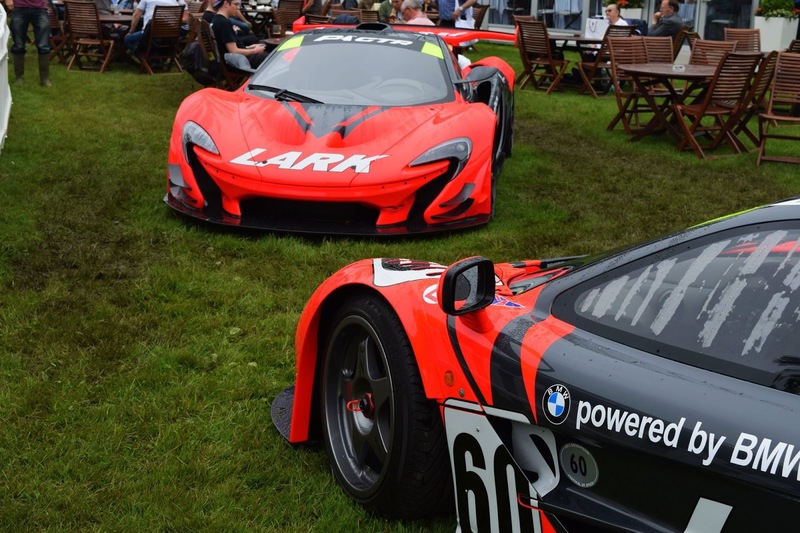 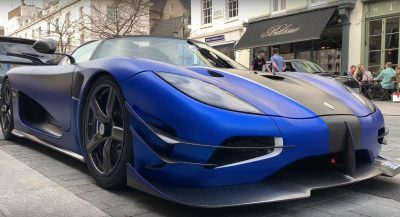 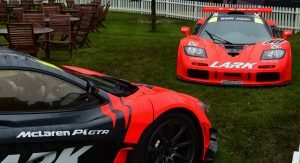 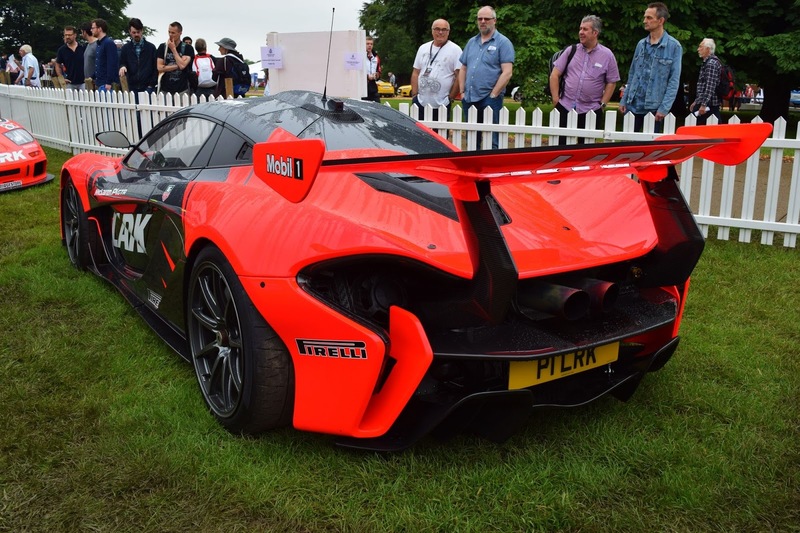 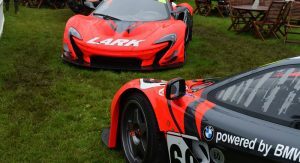 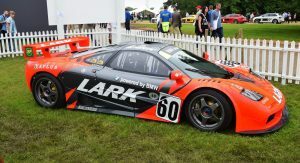 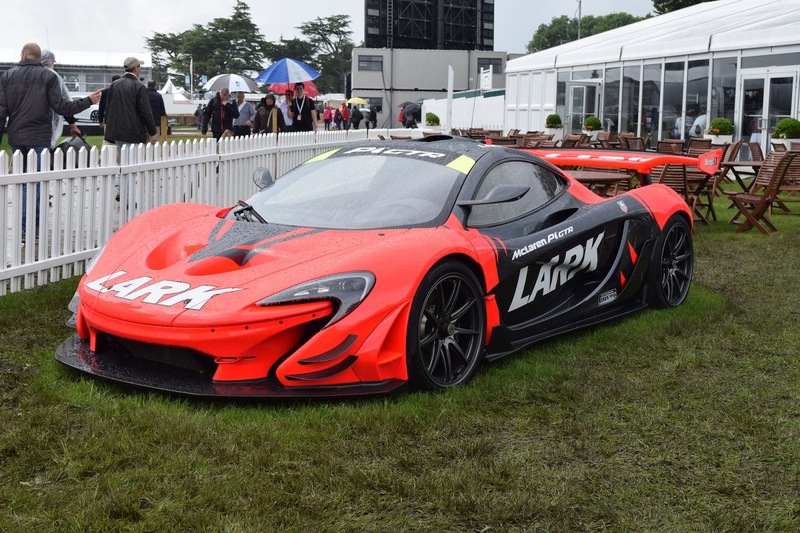 While there are companies with bigger displays and hospitality units at the festival, cars from the Woking-based firm sprinkle all parts of Lord March’s gardens, including a handful of F1 GTRs in both ‘standard’ and Longtail derivatives and a couple of P1 GTRs and the one-off P1 LM. 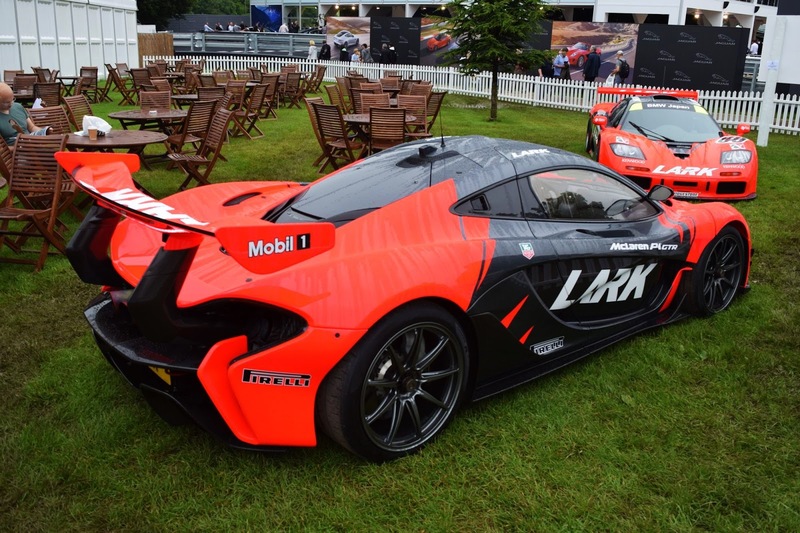 Of these, two stand out, the matching Lark-livered P1 and F1, owned by a British collector. 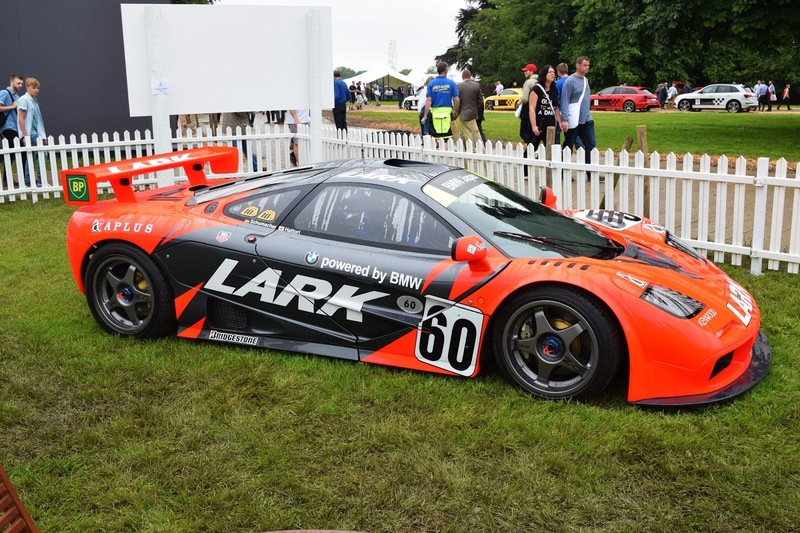 The F1 GTR in question competed in the Japanese GT Championship. 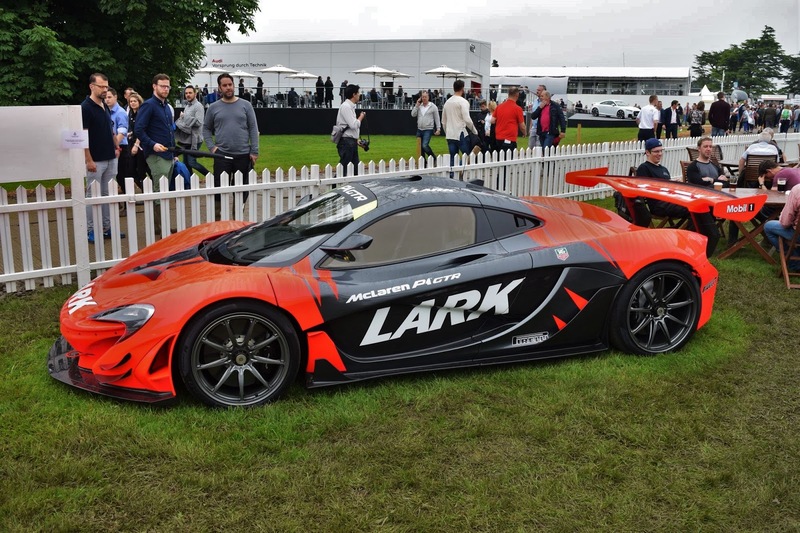 While it didn’t enjoy quite as much success as some other examples, it’s unique Lark livery makes it unmistakable from all others. 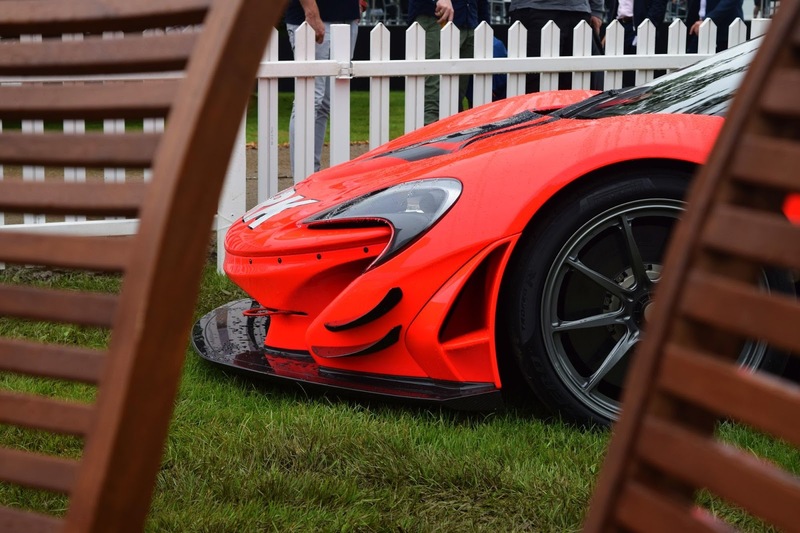 The color scheme really has to be seen to be appreciated but rest assured, the bright orange elements are much brighter than the brightest highlighter pens or high-visibility jackets, even if the images don’t portray this fully. 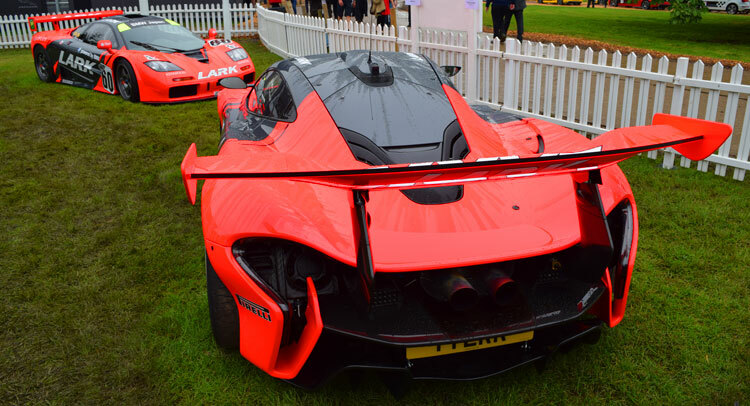 Fittingly, the owner of the car ordered a P1 GTR and had it painted in an identical livery. 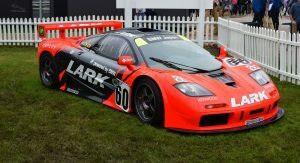 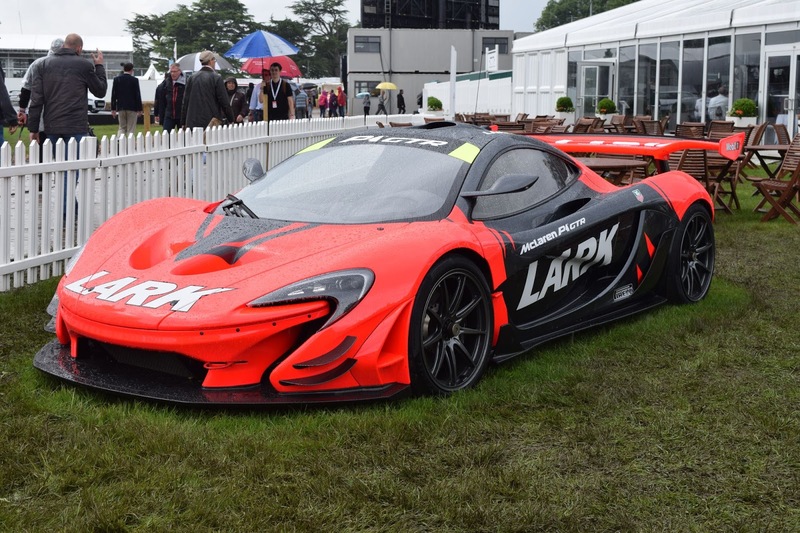 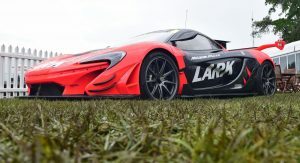 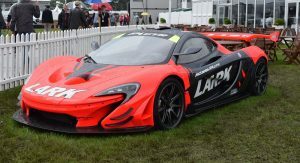 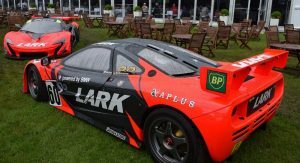 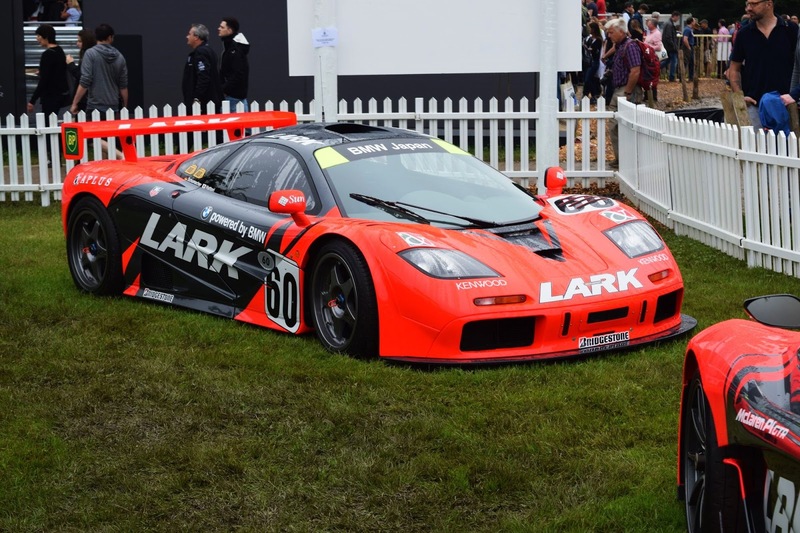 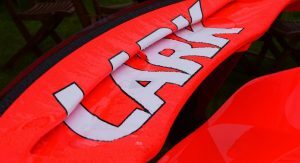 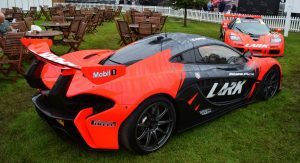 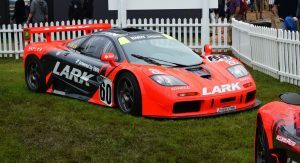 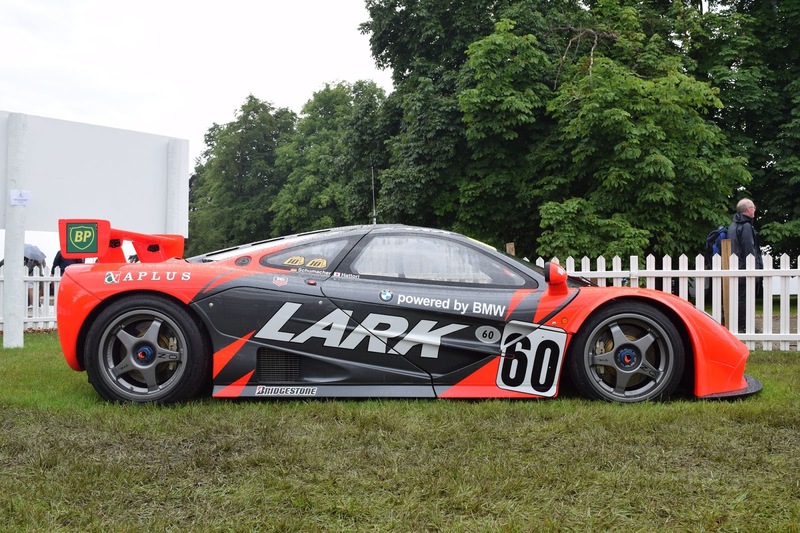 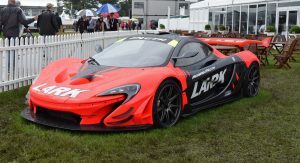 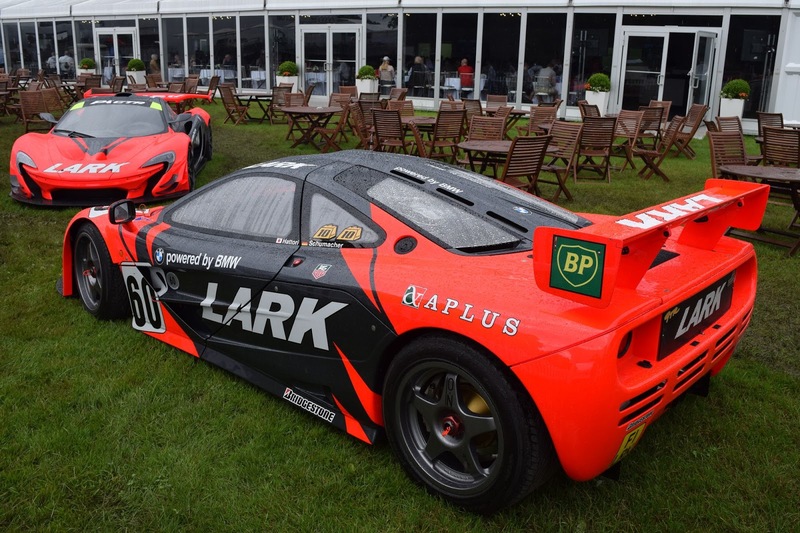 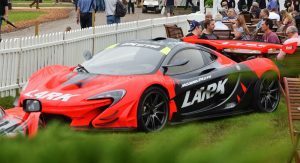 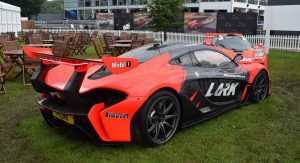 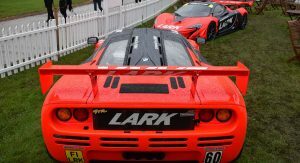 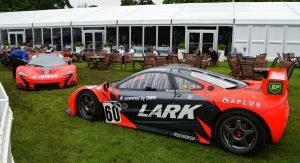 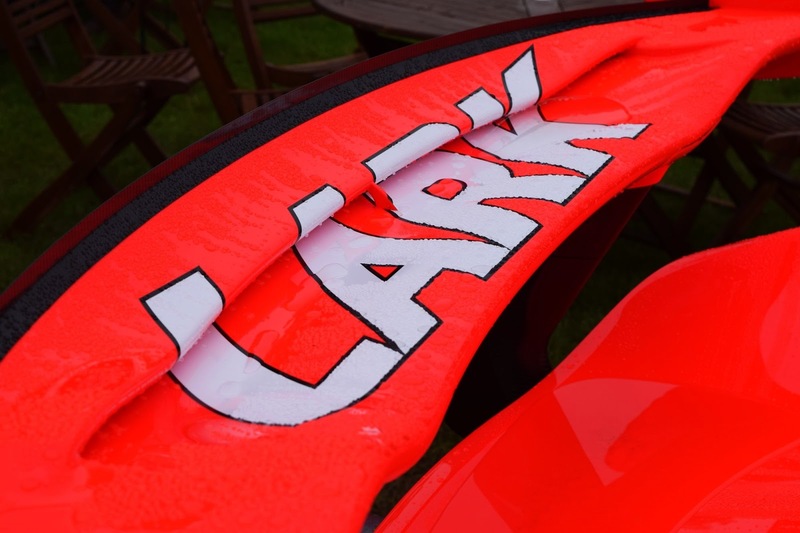 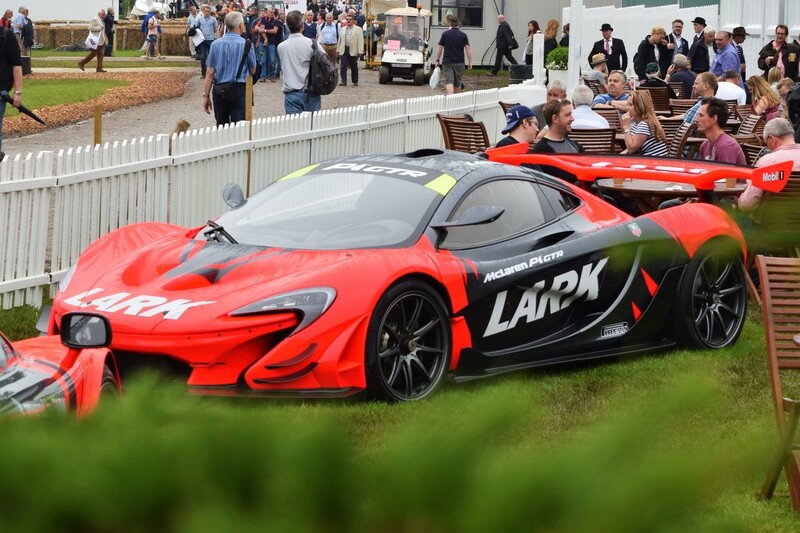 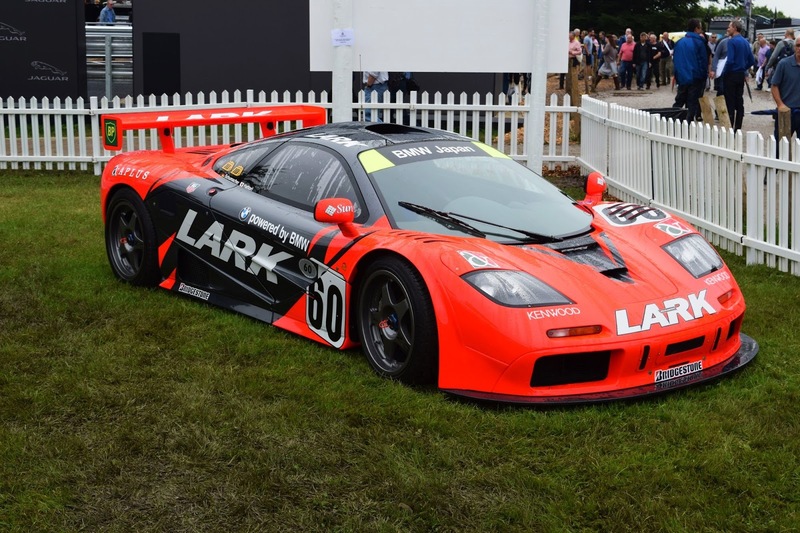 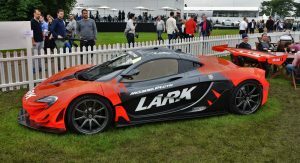 Originally, the two were to be displayed at the McLaren stand but we’re told the firm didn’t want to promote Lark, a Japanese cigarette manufacturer. 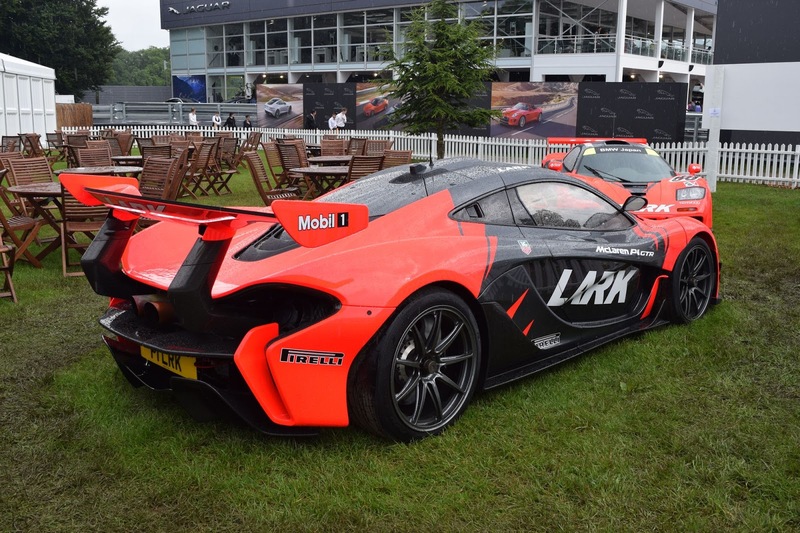 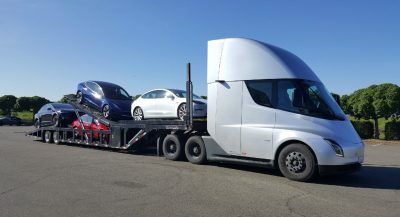 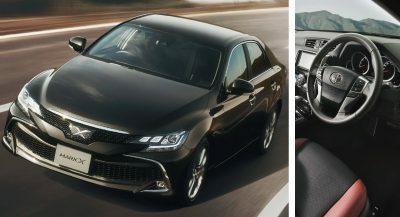 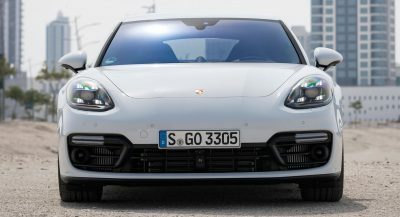 Both of the cars have been converted for street use and are used frequently to trundle around the UK’s streets while also blasting around some of the country’s finest circuits. 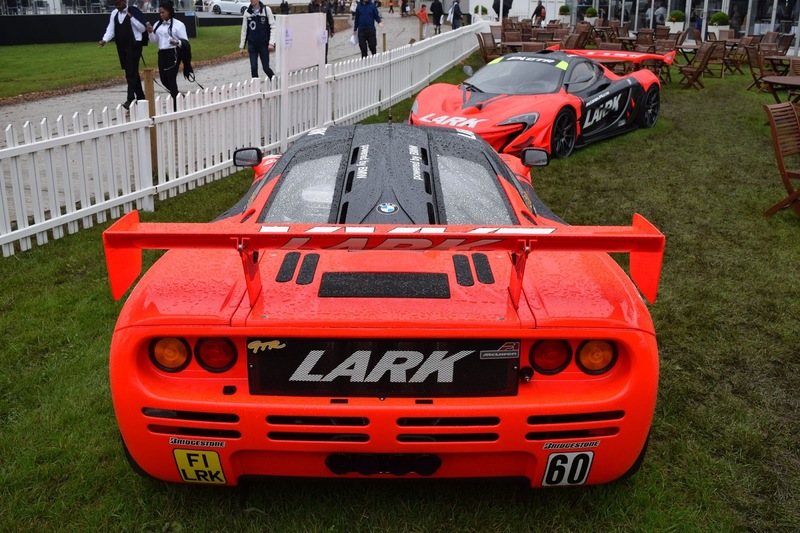 And I love it when they are captured all wet. 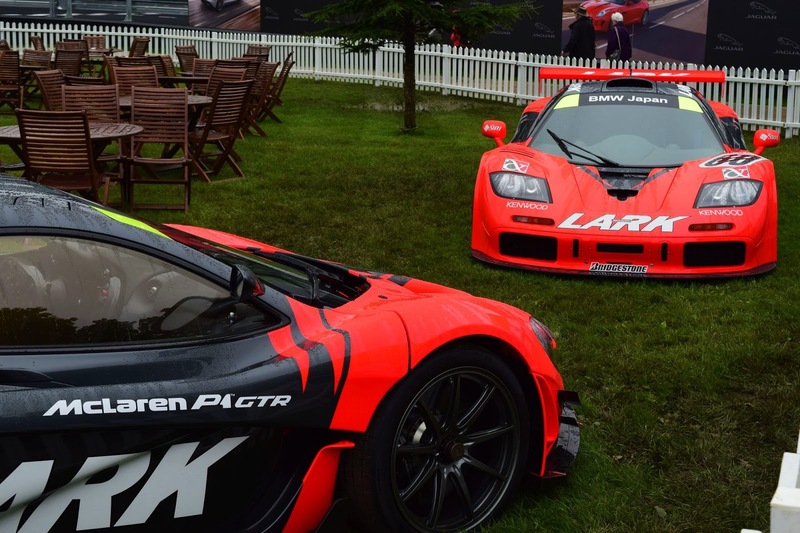 If money can’t buy happiness, it’s only because these two are probably not for sale.